KaiXin means ‘HAPPY’ in Mandarin and it reflects the happy and relaxed class environment we provide to the children so that they can enjoy and accelerate their learning capabilities. We deploy various motivating strategies whilst maintaining an effective course structure and discipline in class. Our classes are small with between 4 to 10 children. This enables each child to get the appropriate attention they need from the teachers and also be given a chance to participate actively. Based on Jean Piaget’s research on children’s cognitive development, we have designed our classes to optimise their learning abilities by structuring lessons to be delivered in 1.5 hour or 2-hour weekly class. Our teachers are all native speakers and have ‘Working With Children’ Check. We have teachers who are VIT (Victoria Institute of Teaching) registered, tertiary qualified in Education and holders of Children Services Certificates hence the children are in very good hands. 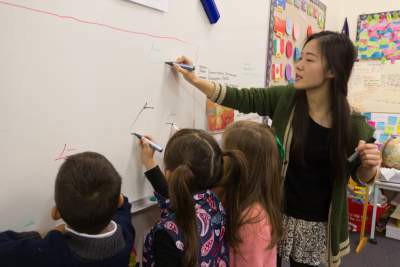 In addition, the teachers are trained regularly to ensure that high standards are maintained in delivering our specialised approach for effective teaching and for motivating the children to embrace the Mandarin Chinese language. Parents need to feel comfortable that their children are safe and cared for appropriately. At KaiXin we put a lot of emphasis on upholding the Duty of Care for the children while they are with us. We currently teach in four locations in Melbourne (North Melbourne, Doncaster East, Hawthorn East and Mulgrave). If the children are unable to attend their regular class, they are welcome to join an alternate class of the same level in same or another location ( if available) to ensure they do not miss out. 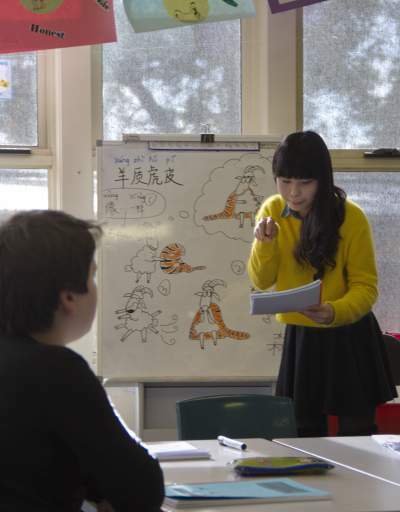 At KaiXin we believe that learning Mandarin Chinese is not only about learning the language but that it is also a mind and cultural exercise. Hence we have taken a more holistic approach in designing and developing a step by step curriculum, books and CDs incorporating creative story-telling that excites the imagination yet also touch on children’s everyday life events, Chinese culture, numeracy and problem solving to challenge the mind in a fun way. 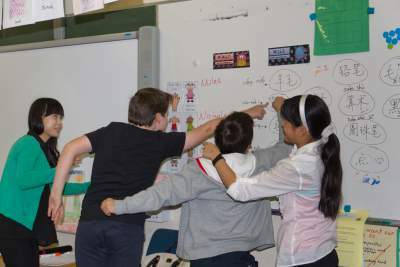 Our pedagogy incorporates engaging, motivating, interactive methodologies; and fun through visual, auditory and kinaesthetic (VAK) way, story-telling, acting, play-like activities, songs, music and usage of both the left and right brain. It encourages children to learn, speak, write and remember at an accelerated pace in a relaxed class environment. 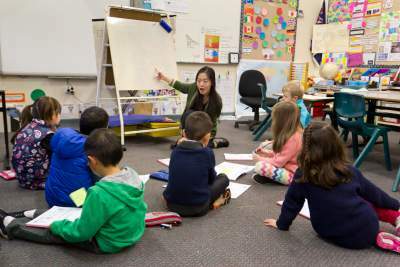 Our classes begin as bilingual throughout the early stages of learning. However as the children begin to acquire some foundation of Mandarin, we will start to immerse them in the language and conduct more and more of the lessons in Mandarin.